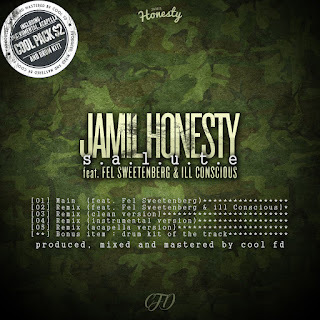 Salute (Cool Pack) by Jamil Honesty x Cool FD Hailing from two of the most dangerous cities in the US, Jamil honesty Staten Island NY native, with Baltimore MD being his second home, and Fel Sweetenberg, from Camden NJ, come together on the production of Cool Fd hailing from Orleans, France. The two show off there lyrical ability over the hypnotizing beat. 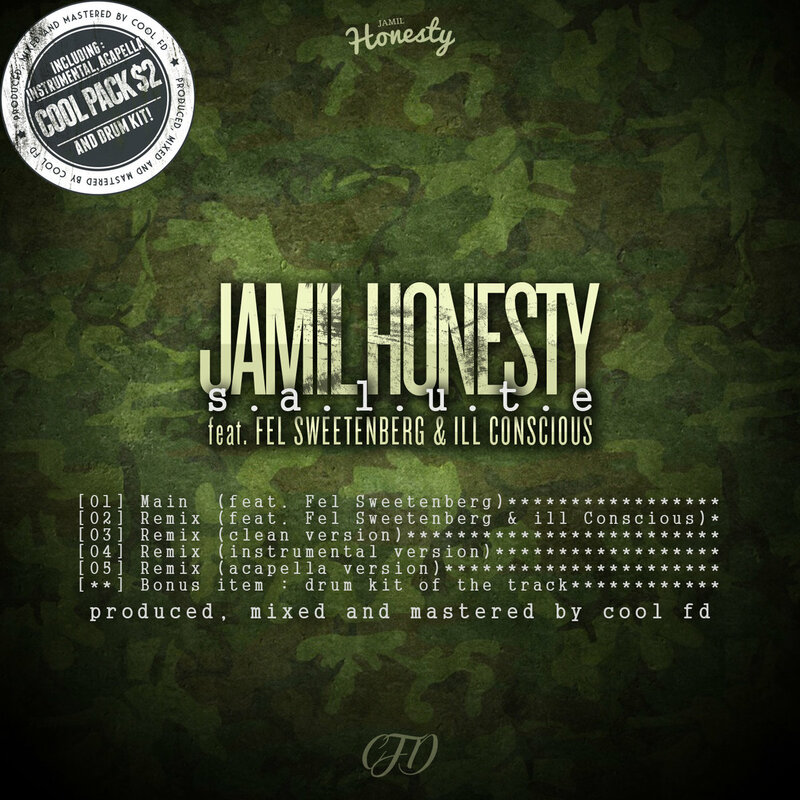 SALUTE is the name of the track counting the 4th single release from the Missing Flag project by Jamil Honesty and Cool Fd also as a treat there is a remix where they bring along a young but talented and amazingly skilled mc Ill Conscious for the ride. Enjoy the new music and stay tuned for the project The Missing Flag. SALUTE ! !